IT IS the love of a brother that drives one haemochromatosis advocate in his campaign to raise awareness of the disease and money for the Australian foundation. Haemochromatosis is an inherited iron overload disorder that occurs when two genes are present in the body said campaigner Steve Wright. "Basically the excess iron literally rusts your organs and in the case of my eldest bother caused him to have the liver of a drunk when he didn't drink," he said. Mr Wright has set himself the task of running the Billy Wright Appeal in honour of his late brother. 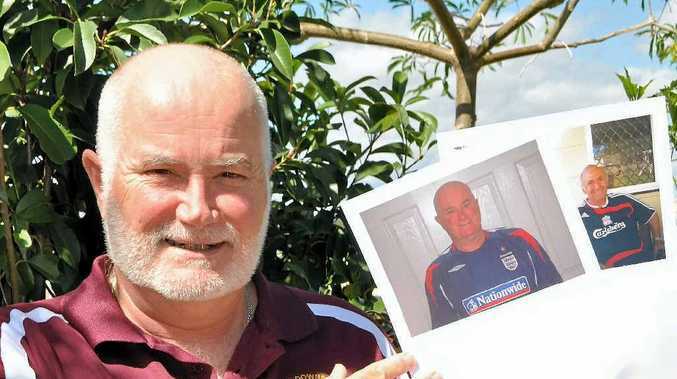 "As a result of the haemochromatosis my brother developed liver cancer and so he didn't feel alone I shaved my head and have kept it that way for five years. "So now I am growing my hair and beard again and will do so for 6-12 months before having a shave day to raise more money. "I've been going for two weeks now and have just banked $190 dollars from collections at the RSL. "The interest and support that we have received so far has been incredible. "Effectively I have already succeeded at raising funds and awareness but in this case I am going to be a little greedy and keep campaigning." Haemochromatosis Australia secretary Tony Moorhead congratulated and thanked Mr Wright on his efforts via their Facebook page. "Fantastic. Great result Stephen. $190 will fund our Info Line for a month and help a lot of people newly diagnosed with the disease find answers and get support,' Mr Moorhead wrote.